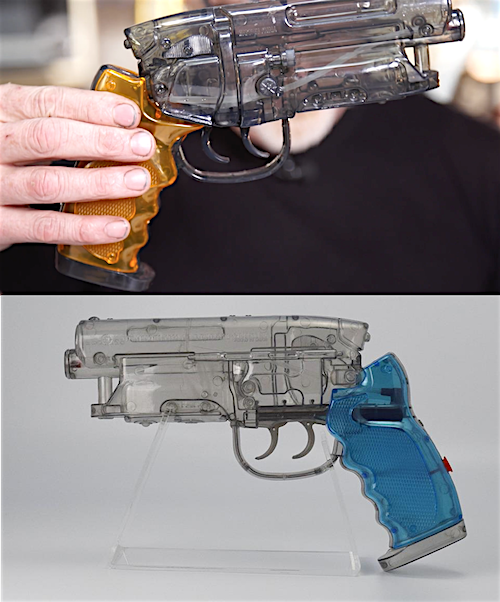 There’s no fancy or smarter way of saying it (I certainly couldn’t rein in my excitement), but Introducing the “BLADE RUNNER WATER PISTOL”! Long had I wanted a Blaster-replica from when the Ridley Scott-directed film existed in 1982, but through the years, the exactingly detailed replicas meant the collectible being out of my financial reach, although ironically now, the water pistol exists in the basic form, from which I could perhaps custom-paint (which I would end up talking about, but never do…), much less to order it online and have it pass thru safely in Singapore-customs (“Gun” laws are insanely strict here in SG, even for “Airsoft” replicas - which I have nothing against all these years, until now… LOL). Will me owning these toy guns remain a wistful-dream? Folks beyond Japan can score these online via auction sites, but bear in mind the initial retail price (apparently) was US$12 (SRP 1,296 YEN excluding tax) each? Excluding “shipping”, of course! So that US$250 version you see listed? “Double Check” again! 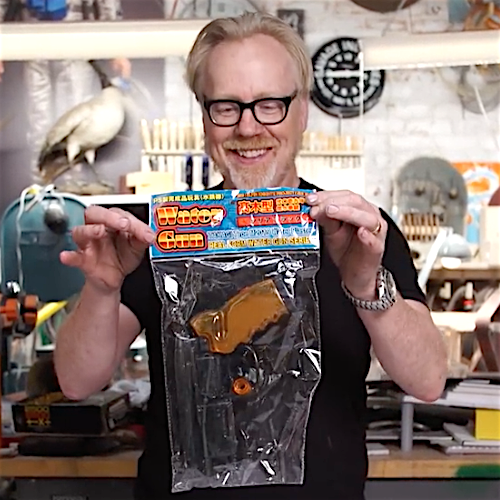 Adam Savage of TESTED tests out the gun, and thanks to him, I WANT IT EVEN MOOOOORE! 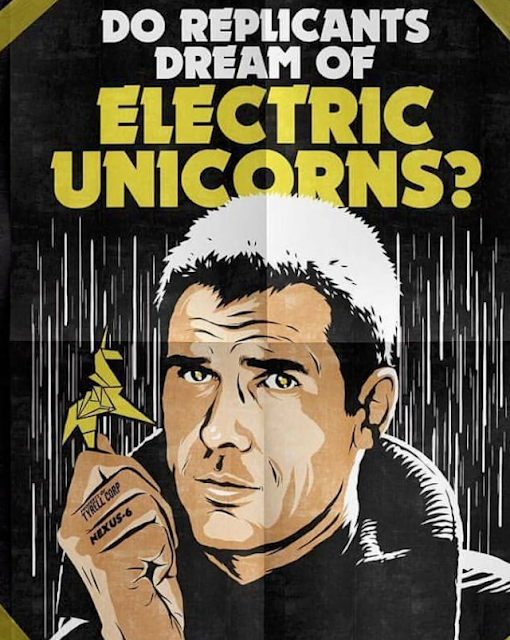 Dammit I'm loosing my mind here…!